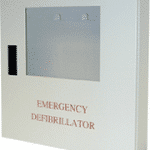 With an alarm and strobe, this is one AED wall cabinet that’s outfitted for the direst of circumstances. 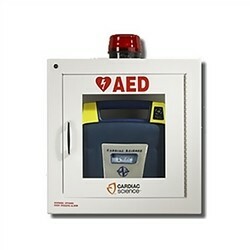 This version of the Cardiac Science AED Wall Cabinet is perfect for businesses, schools, churches, recreational centers, gyms, and so much more. 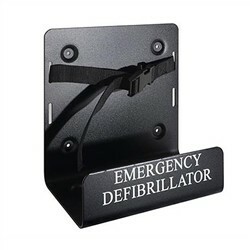 With security enabling, this is a safe way to keep a life-saving device both protected and accessible. 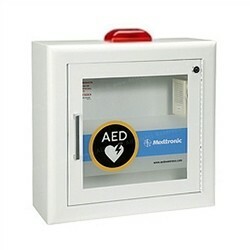 Mount this AED Wall Cabinet on virtually any wall surface for a way to secure your defibrillator. 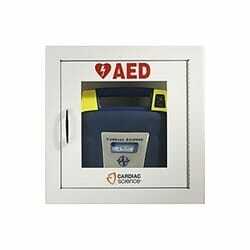 Order yours today from In-Pulse CPR!